Miss Bookish Girl is a rock star and is participating in the Tinkerbell 5K at Disneyland this evening. She had done the San Jose Rock N Roll Marathon previously and she was inspired to keep up this habit and for this, Snarky Rachel and I support her. So we got in the car to support her. We met up in our hotel room (where there were only two people in the room, we swear hotel management) and cheered her on as she left to participate in the 5K. 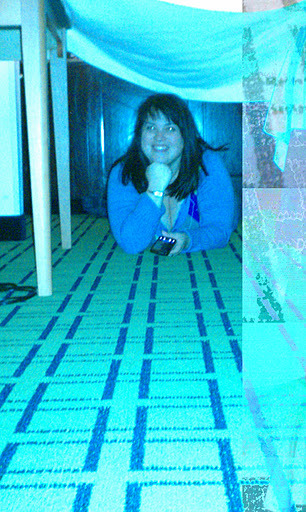 In the room (that only holds two people, get off our backs hotel managementt, we know!) 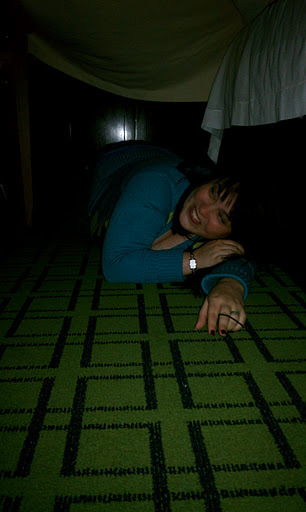 Snarky Rachel contemplated what we could do to show her how much we love her. The answer was obvious. 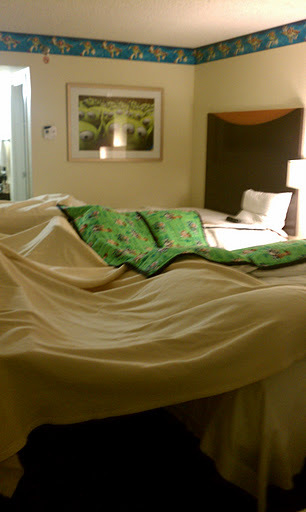 We called housekeeping cause we needed extra supplies to build our fort! Rejecting Logic strikes again! 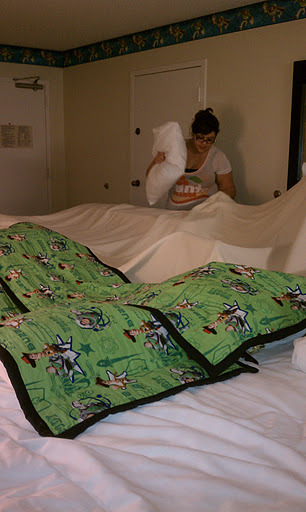 SR is carefully arranging pillows on top of the ironing board and underneath the blankets as extra height was needed. Just to the right of the ironing board area is the TV, because no fort is complete without a TV. 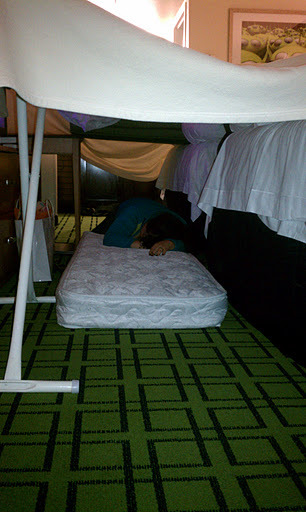 The other side of our fort is supported by the beds. 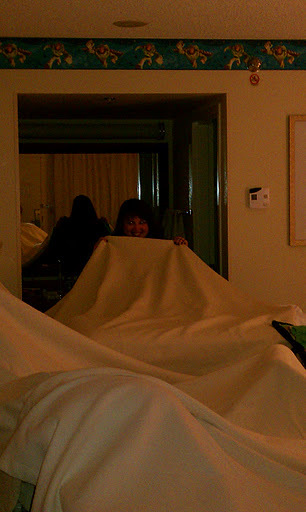 All fort building was done under the watchful and approving eyes of the little green aliens from Toy Story. 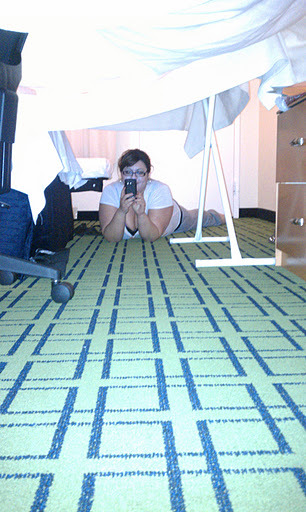 I am awesome in my sneaky fort building. Very tired after all of this work. Snarky Rachel taking a pic of me. As the finishing touch, we decided to add the mattress from the pullout couch to make it more mas comfy. Success! !